Sydney jockey Tim Clark has ridden a Caulfield Cup day double that included Shumookh. Tim Clark has produced a second copybook front-running ride to provide Gai Waterhouse and Adrian Bott with a Caulfield double. After winning aboard Thinkin’ Big in the Caulfield Classic, Clarke guided Shumookh to victory in Saturday’s Group Two Tristarc Stakes. “It’s been awesome,” Clark said. “Gai and Adrian have been great supporters and it’s great to ride a couple of winners for them. Shumookh ($8) was given an easy time in front and Clark was able to boot clear in winning by 1-3/4 lengths from the $2.90 favourite Invincibella with Aloisia ($26) a long neck away third. Clark said switching back to 1400m following her last-start fourth at Randwick on October 6 was instrumental in her success. “I made sure they were really chasing around the home bend to get me and she got through the line strongly,” Clark said. 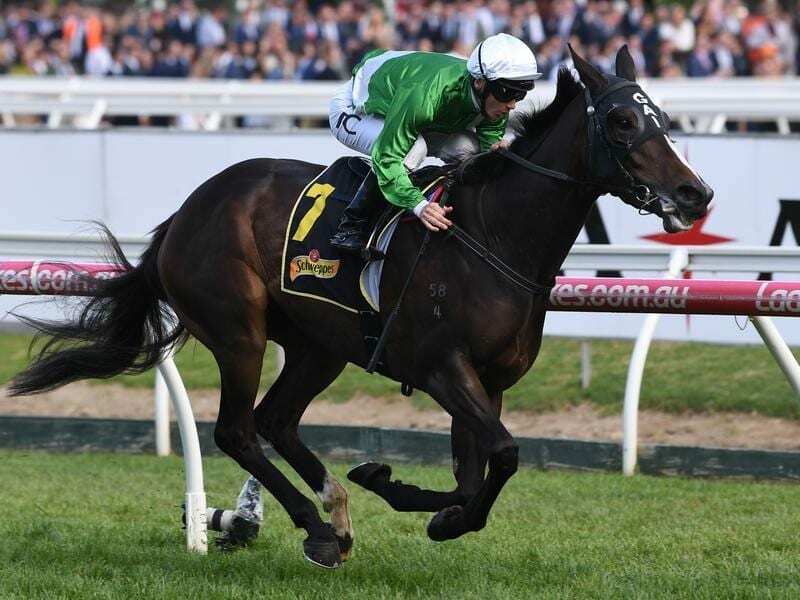 Waterhouse said she plans to again step Shumookh up to 1600m to run in the Group Empire Rose Stakes on November 3. “I just pray the boss (owner) allows us to run in the (Empire Rose) because I’ve always believed she can run a mile,” she said.